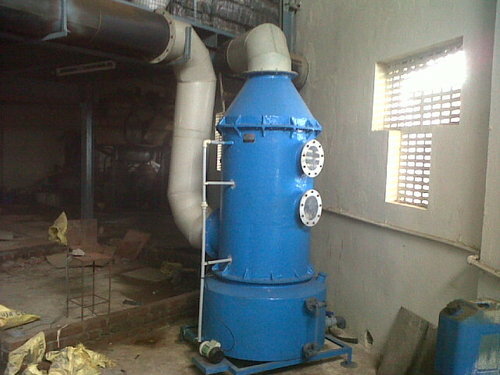 We offer wide range of Acid Fume Scrubber for removal and washing of acidic fume laden air coming out of various industrial processes. Our scrubbers are used for chemical production, metal finishing, semiconductor manufacturing as well as in other operations related to generating fumes and gases. These are made of best raw materials i.e. in M.S./S.S./F.R.P. that provides them a great strength and durability and are offered to clients at the most competitive prices. Air Volume: 3000 m3/h to 60,000 m3/h We also offer wet collectors used for separation of particulate matter having moisture from dust laden air to remove aerosols & gaseous pollutants from an air stream & air purification along with dust collection.